I have 500 yards of this yarn, and NO IDEA what to do with it. 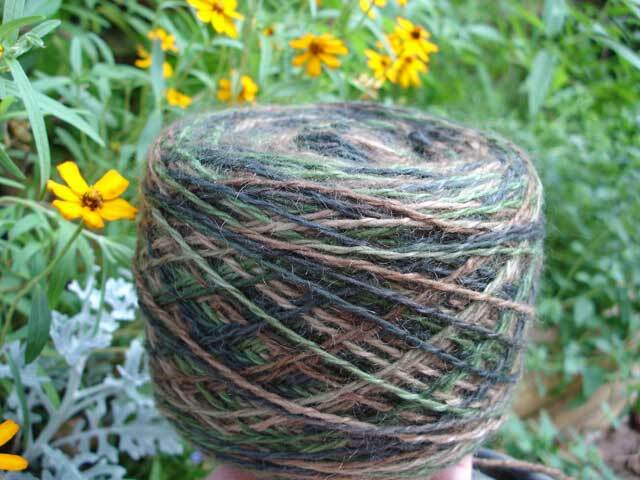 I love the colors, I love the fiber content (55 mohair / 45 wool), I love the way the yarn is plied (2 plies, very loosely). The yarn is gorgeous. Any ideas? 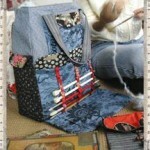 Please help SAVE THE YARN!!!! *this poor yarn doesn’t have a chance! i can’t even call it by the right name! thanks, ann, for setting me straight! yeah, that actually looks like duet to me. i have both duet and four play and i think that four play is a little more like wool than mohair. anyway, carrie made a huge lace shawl out of her four play. i’m sure you could make a smaller lacier scarf with yours. stick a couple needles in it, then some pencils and call it a holder. That’s what I do. It is a lovely yarn. How about something like ‘Butterfly’ (was in one of the Rowan books on the cover, using Kidsilk Haze – can’t remember which one…)? Try feather and fan, I did it to some brooks farm yarn and loved it. 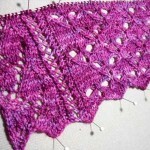 I am also doing one of the fiber trends easy lace patterns, Flower basket, the leaves pattern, or the shoalwater shawl. My only problem was the one dye lot was signifcantly different from the other dye lot and I had to rip it out to redo at another time. 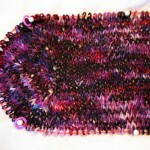 you could try a small scarf version of Clapotis…I know it is tres cliche, but would look lovely, I’m sure. A friend of mine made a very nice, slightly smaller than pattern, version of clapotis from duet. I have some, and I might end up doing the same with it. 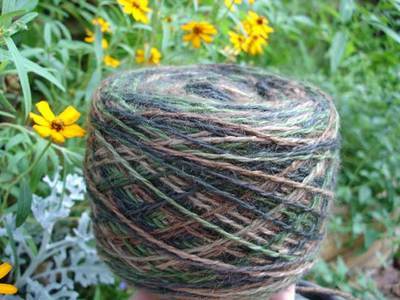 I bought a hank of duet from brooks farms last fall at the fiber festival in boerne, Texas. They had a sample hat and scarf on display that was very pretty. The pattern came free with the yarn purchase. One hank is enough to make the hat and scarf. I’ve made the hat and am almost finished with the scarf. My daughter is very pleased with them both. The pattern is called Wavy Rib scarf and Cap. 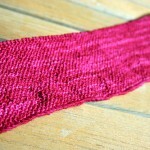 I think it’s perfect for this yarn, a nice design without being too busy. I usually knit this project outside in the sun because I enjoy the way the sunlight shows the colors and the gorgeous fibers. I could probably only have brooks farms yarns to knit with ever again and be very happy! good luck! The Perfect Pie Shawl in Weekend Knitting. It would be lovely. Yes, I agree with Ann, that stuff sheds like a … well, whatever. I love the Clapotis I made from the almost-solid-red Duet, but I’ll think twice before wearing it with my black jacket again. I would recommend a very simple lace pattern or even a simple basket-weave, and it will pool, and it will be absolutely beautiful no matter what you do with it. Did you get a “Widows and Orphans” hank? I’ve been visiting BFY for months and finally bought two hanks off their sale site (two different colors). I, too, have no idea what to do with them. I actually thought a simple newborn or 6 month pullover might be pretty, too. Please show us what you decide to do.